Credit unions and banks have coexisted for a long time, each offering financial services to serve their respective members and customers. Recent directives for credit unions, however, have raised the age-old question of where distinction between credit unions and banks exists. The Canadian Office of the Superintendent of Financial Institutions (OSFI) now prevents any financial institution other than federally-regulated banks from utilizing terms such as “bank,” “banking,” “bank accounts,” and “banking services.” The OSFI newly interprets Canada’s Bank Act as allowing only banks to use terms like “bank” and “banker;” the OSFI states that the public otherwise might be confused. Any Canadian financial institution that violates these stringent rules could be subject to fines or penalties. The Canadian approach to drawing a line between the two institutions differs from the American approach. A whitepaper commissioned in 2005 by Credit Union National Association (CUNA) acknowledges that “banking” is a generic, widely-used term with no easy-to-use synonym; fighting its use is futile because consumers really aren’t affected by the terminology. 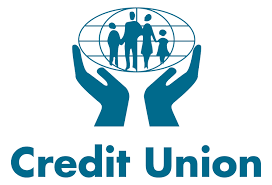 Credit unions everywhere have expressed opinions on the OSFI’s recent directive. Drew Stanley, SVP and Chief Strategy Officer of Franklin Mint Federal Credit Union, said the pending prohibition on Canadian credit unions from using the term “banking” is an interesting development that requires monitoring. While banks and credit unions are very different entity structures, the activity of managing finances with either is commonly referred to as “banking.” Stanley thinks this regulation will likely cause confusion for consumers and businesses. These new restrictions leave us with this question: what is the difference between a bank and a credit union? Franklin Mint Federal Credit Union exemplifies the “Credit Union Difference,” where this member-owned institution does more than just the basics of a financial institution. The personalized variety of accounts, credit cards, and more, as well as advocacy for financial literacy education for every member, speaks to FMFCU’s inclusiveness. As SVP, Stanley is an integral part of cultivating FMFCU’s uniqueness. “In addition to meeting member and local business savings, borrowing and investment needs, FMFCU is committed to the financial well-being of our community. FMFCU accomplishes this mission through its Partners in Education Foundation, The Berenstain Bears Financial Literacy Program and Financial Fitness programs.” The Berenstain Bears Financial Literacy Program that Stanley mentioned is a youth education program developed in response to identified need for increased youth financial literacy. Not only are the brightly-colored Berenstain Bears very attractive to children, but they also resonate with adults as familiar and trustworthy characters. These loveable bears center multiple financial education initiatives, such as its signature component The Berenstain Bears Visit the Credit Union, the Cub Account, and the responsible money management concept Save, Share, Spend, Earn. Credit Unions in the U.S. are not fearful about using the verb “bank” or its many derivatives because service and commitment to the community is what sets them apart from financial institutions that are defined by the noun form.